share their ideas, concepts and approaches to using climate information. As well, access to relevant forecast information (in many formats) must also be improved. We know that, for people to use climate forecasts in the long term, it needs to be acknowledged that there is a level of uncertainty in the forecast, and that few decisions are based on climate information alone. products, tools and services that meet farmer and adviser information needs (2b). This project aims to increase a farmer’s ability to manage in a variable climate by establishing a group of people that share a common interest in seasonal climate forecasts and their use in farm decision-making. an annual workshop for people in the program to share their progress and deliverables. An Australian seasonal forecasting community of practice (CoP) will be created for Australian farmers, their advisers, and extension and adoption experts. The CoP will engage with leading seasonal climate variability scientists, who will use information tailored to communicate the value of seasonal climate information and how to use seasonal forecasts most effectively. more discussion channels for seasonal climate variability projects. 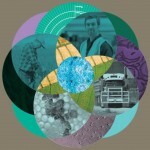 This project will make use of extension and adoption resources from the Victorian Department of Economic Development, Jobs, Transport and Resources; South Australian Research and Development Institute; Department of Agriculture and Food, Western Australia; NSW Department of Primary Industries; and University of Southern Queensland. This project aims to develop and tailor products, tools and services that are of most use to farmers and advisers. a range of tools and services to help explain specific attributes of forecasts and explanations of difficult aspects that we have identified through the projects. Firstly, we will consider the outputs of Project 1 (Valuing the forecast) in terms of farmer and adviser information needs. From this, we will develop products, tools and services—in collaboration with farmers, advisers and extension specialists—to meet those needs. We also recognise that we will need to develop products, tools and services that help communicate the research outcomes and provide a legacy for the program.